INDUSTRY.co.id - Jakarta, Minister of Communication and Information Rudiantara affirms the strength of a country's diplomacy is directly proportional to the ability to utilize digital technology in diplomacy. Therefore, he urged that digital technology can be used as an object in conducting diplomacy with other countries. "The aggressiveness of a country diplomates in a linear world with their aggressiveness utilizing digital technology. In the context of Digital Diplomacy, not just how we use digital, but how the development of digital technology is giving color in international diplomatic relations, the object that we bring to diplomacy, "he explained in the Training of Senior Diplomats Sesparlu at the Ministry of Foreign Affairs, (21/7 / 2018) yesterday. According to him, the use of digital technology in Indonesia in diplomacy at this time still tends to be a tool to interact with the public. "Sometimes we use this only for one direction, replacing the way we interact and deliver information to the public. Should be able to be used both ways, the effectiveness is not the number of number of tweets but how many respond, "he explained. On the occasion, Minister Rudiantara explained Indonesia's position in the context of information and communication technology (ICT). "One time Mother and Father who will become heads of representatives in other countries can use this to doplomacy," he explained. One of the points Minister Communication and Information describes is the Palapa Ring Program as an effort to improve Indonesia's position in the context of ICT in ASEAN. "The basic is the basic infrastructure, connectivity. Indonesia's ICT infrastructure is still number 4 below Singapore, Malaysia, and Thailand, because the challenges are severe. 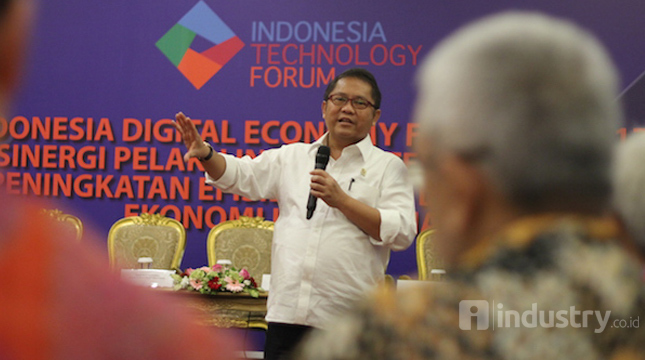 Therefore, the government has an affirmative policy with Palapa Ring, the goal in 2019 all districts of Indonesia can connect with high-speed internet, "he explained. According to Rudiantara in Indonesia, infrastructure development must be a driver of economic growth. "This mindset that exists in the present government is different from before. We always say, should be ahead of the curve, "he said.